in mid ship, the shower, heads and basin room. 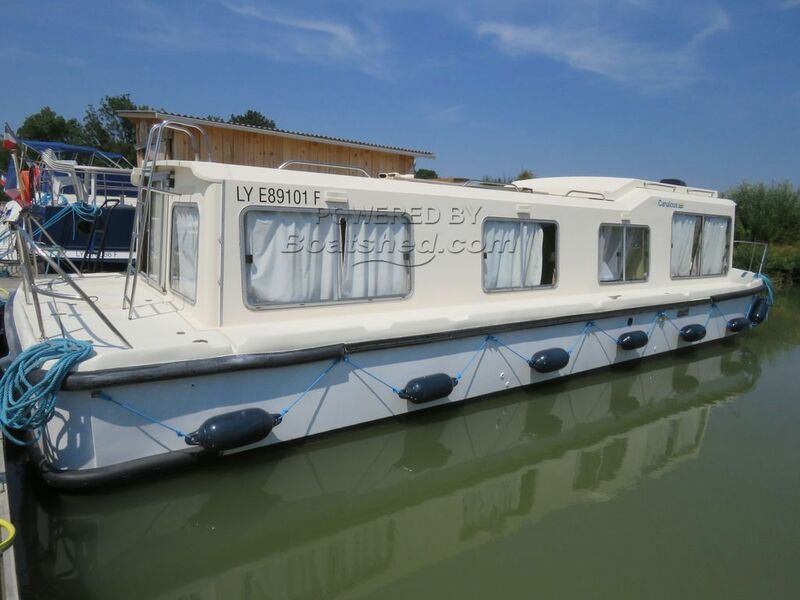 EAU CLAIRE 11.3m ExHire cruiser for sale in Burgundy France. Boatshed Bourgogne is pleased to offer this Jeanneau EAU CLAIRE 1130 canal & river cruiser for sale direct from the hire fleet. We have a number of these vessels retiring from hire. Bought as is they will make excellent inexpensive cruisers for family holidays on French waterways or even farther afield. (One of our clients has cruised to & through Germany with one). All boats will be checked & prepared for sale and further preparation and personalisation can be arranged by negotiation. This Jeanneau EAU CLAIRE 1130 Direct From Hire: Moorings, Preparation & Personalisation All Possible has been personally photographed and viewed by Magali WHARMBY of Boatshed Bourgogne. Click here for contact details.